Sometimes, paying for the whole Xbox LIVE service might seem like a waste of money. You're constantly experiencing lag, you've got people modding and cheating, kids are being loud and obnoxious over the mic, and your kill-to-death ratio is getting dumped on. Basically, the whole multiplayer experience just isn't cutting it anymore—you want to go back to the classic world of single player. Well, there's always downloadable content—simply known as DLC. We can expand our current games beyond their original playable storyline with DLC extras. But since games are expensive, you might not have enough money in your piggy bank left for any additional purchase. Of course, since we do feel as if we've been conned from out Xbox LIVE experience, we can always con back. But how? With a little social engineering! 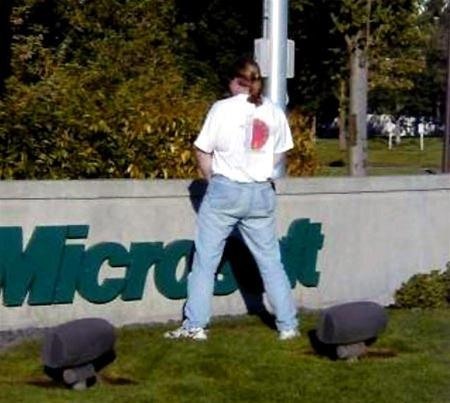 Let's show Microsoft what we think of their expensive MS Points. Pick Xbox LIVE when prompted for the subject of the call, then billing and payments. "Hello, I've been overall displeased with my service lately, with all of the hackers on Xbox LIVE, and Hulu, Vudu and Zune having so many streaming errors, I just want to cancel my service." And since Xbox employees are trained a certain way, they should offer you compensation to stay with them and not cancel. "Oh, I'm sorry to hear that sir, could I perhaps offer you a redemption code for 400 MS Points to convince you to stay?" Score. Since they want to keep you as a paying customer, it's worth it to them to give a little bonus once in a while... and it's good to know that everyone has a chance to get some of that bonus. Do not do this often, because they monitor things like that on your account, so you can't call in claiming to cancel your service every month. If you get a weird employee that doesn't offer you a gift to stay with Xbox LIVE, hang up and call back (say you got disconnected, if anyone asks). This will assure that we get a gift, no matter what the circumstances are. Stay sharp everyone! Psh, you flatter me x]]. Thanks ^_^. What I would like to see is some one try this on Valve get a few free games on Steam.... trolol ? Hmm, maybe like the cheaper, 5-10$ ones? I called 4 times with solid stories and nobody would offer me anything but a "I'm sorry to hear, can we connect you with our technical team?" You need to make it seam like it is there fault, try "I am very displeased with the overal quality of Xbox Live, I am displeased because how many times I notice people hacking during games and that when someone gets reported nothing happens. I think I want to discontinue my service and go and buy a PlayStation 3 from Sony because I don't have to pay for the PlayStation Network." yeah you need to seem upset and serious. Also, I don't think anything is wrong with being connected with a technical team.. They sound like they can do more anyways.